Contacts are one of the most sensitive entities on our phones. When it comes to the phone’s security, we commonly talk about our contacts because they mean a lot for our daily lives. Moreover, in almost everyone’s life, some situations come when you need to secure your contacts and data on another level. If you are worried about your phone’s contacts and don’t want anyone to steal them, you will have to do something to secure them. 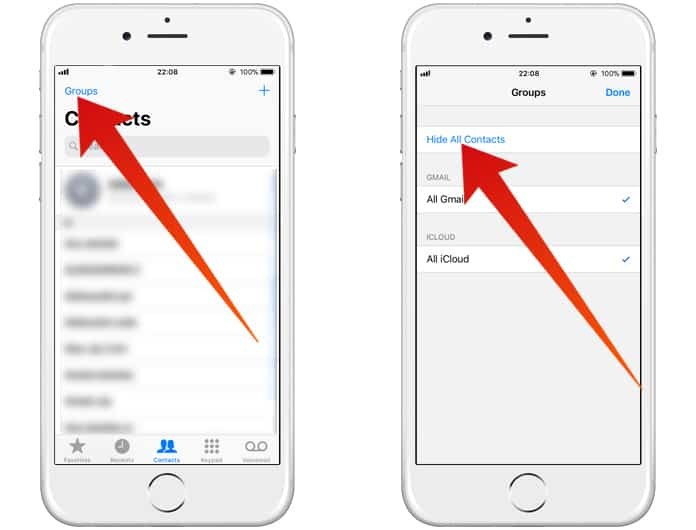 So, if you want to know how to hide contacts on iPhone continue reading this post. There are many people who always try to enter on your phone looking for something they don’t have. They can also steal your accounts, your gallery photos and most probably your contacts. Although you can set passwords and pins on your iPhone, but what if your friend asks to take your mobile for a while. Surely, you would not keep a deep eye on your phone when your friend is holding your phone. In this situation, what would you do? We know you are saying yes, we want to know how to protect contacts on iPhone. Well, don’t worry about that. Here are some various methods on how to hide contacts on iPhone and make them completely safe and secure. The first and most secure method is hiding contacts directly from your Contacts app. 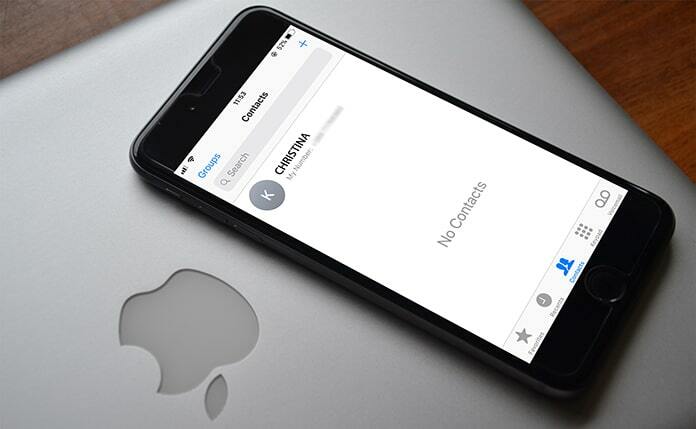 This is a built-in feature in iOS and you can easily hide all of your contacts on your iPhone. Go to the Contacts app and click on the Groups option in the top left corner. Here you will watch different groups and synced contact lists. If you want to hide all of your phone’s contacts, simply click on Hide All Contacts option. You will also see other synced contacts groups as well. It includes your contacts from Facebook, Gmail and other social media contacts. Click and untick the one you don’t want to hide. If you want to make your contacts safe and secure even from your unlocked iPhone, you will have to use a third-party app. A lot of apps are available in the App Store you can download to secure your contacts. Simply go to App Store and find the best security app for your mobile. 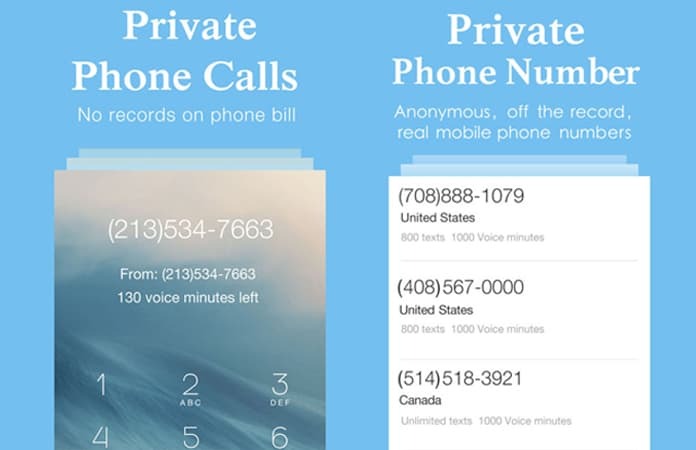 You can download CoverMe Private Calls & Texts or you can use Secret Photo Calculator Plus to hide your contacts. Just import your contacts and other sensitive data to the app and set a password on it. Now no one can see your contacts and other data until you don’t put your password in this app. In short, it is an amazing method to secure contacts on iPhone. 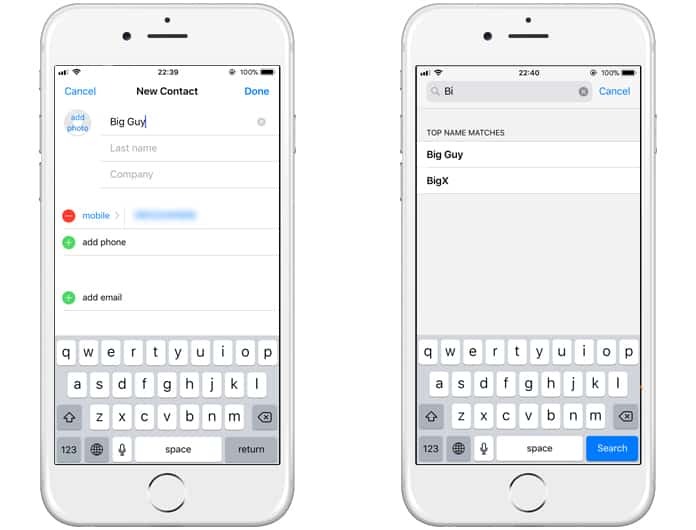 If you don’t want to hide your contacts but you want to secure your contacts, you can try nicknames on your contacts. The person who is going to sneak in your contact list won’t know the real contacts name as you have set it as a nickname. This is a great way to confuse people who always try to steal your contacts. You can try anything, any secrete name or a nickname on your phone contacts. So it’s a great idea to protect your contacts without hiding them.